Speaking on a conference call to analysts Friday, Lucara Diamond (TSX:LUC) CEO William Lamb said the Vancouver-based miner has "one or two" options for an outright sale, but such bids have failed to materialize, starting with the first attempt at a sale last summer at a Sotheby's auction. The amount for a single buyer to pay is indeed daunting. "Everybody on the call will most fully would know one or two wealthy people who, on the weekend, could go out and buy a Lamborghini at [US]$250,000," Lamb said during the call. "What we are asking for, for the stone, is for a company to go out and spend the equivalent of 280 Lamborghinis." Reuters reported in July that Lucara would probably have to cut the tennis-ball-sized diamond in order for it to sell. 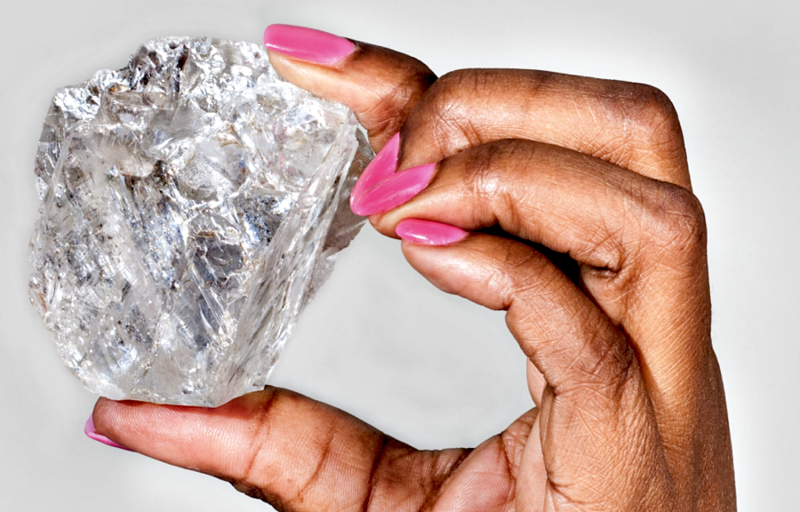 Discovered at Lucara's Karowe mine in Botswana in November 2015, the only diamond larger is the 3,106.5-carat Cullinan, which was cut into 105 diamonds, including several British Crown Jewels. Lamb recently said that another challenge to fetch what Lesedi La Rona is worth, is the fact that the polishing itself is risky. The unsold diamond weighs heavily on the company’s shares, which are down more than 30% from late 2016.